25 Apr Ten Greek Indigenus Varieties to drink all day long! Sun-dried sweet wines originated from every part of Greece. Taste the worldwide famous Santorinian Vinsánto, made by blending together the varieties of Assýrtiko and Aidáni.The famous Vinsanto, a luscious sweet wine, is made from sun-dried grapes and aged by law for at least three years. A good Vinsanto, however, can easily age for more than 100 years. Vinsanto wines (the name means “wine from Santorini” and not “holy wine,” as in the case of the similarly named vinosanto from Italy) have a caramel- and toffee-like aspect, with a dried- fruit dimension that makes them great partners to all sorts of sweets, especially chocolate. But what is really unique about Vinsanto goes back to the individuality of the Assyrtico grape to begin with. In comparison to other sweet Greek wines, Santorini’s Vinsanto wines have a characteristic freshness, thanks to all that natural Assyrtico acidity. Let a flirtatious Greek wine help you create the perfect atmosphere for you and your partner. • Ksinómavro: The finest red variety of the Northern Greece. 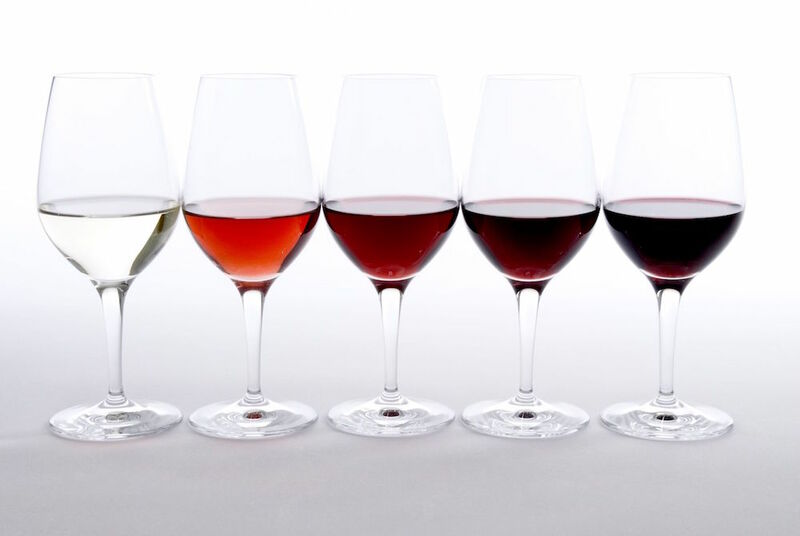 Depending on the time of maturation, it covers a wide range of tastes and nuances of red. Ksinómavro variety is one of the great divas of the Greek vineyard. It is capricious, demanding, and difficult to deal with, both in the vineyard and in the winery. The grape is capable of producing wines of stunning character and individuality and extraordinary complexity, with a seamless combination of intense extract and sheer finesse. • Ayioryítiko or Mávro Neméas: Coming from Peloponnese, it is the red wine that was supposed to be the favourite of the mythical king Agamemnon. Thanks to its deep red colour, rich aroma, and velvet taste it is the ideal wine for red meat and sauces. With pronounced cassis and blackberry flavor and a rich, mature, velvety, luscious texture, the supple young Ayioryítiko wines are fruit-forward and are enjoyable early. However, there is enough big structure to support long-term cellaring (5-10 years). • Mavrotrágano: An old red variety of Santorini, which has been brought back to life fairly recently. Fruity in taste, deep in colour and medium in acuity, it is marked by its high proof. • Athíri: The white delight of the Aegean Sea. Its yellowish colour with the reflections of green and its distinctive, subtle fruity taste render it suitable for many kinds of dishes. Its lovely floral aromas and mouthwatering attack wakes up the palate. Common to the islands of the southern Aegean and Halkidiki, in eastern Macedonia. • Assírtiko: Although cultivated in many other islands, Assírtiko reaches the apex of its originality on Santorini, but has successfully migrated to Halkidiki, Epanomi, Drama, and Mount Pangeo in Northern Greece as well as to the Peloponnese. Bearing the island’s volcanic DNA, it is delightfully rich of aromas, ranging from citrus and apple to honey, raisin and incense. It maintains a high acidity even in fully ripeness. With crispy acidity and excellent minerality, its wines are rich and refreshing. The aromas suggest citrus, lemon blossom, orange zest and grapefruit. • Moshofílero: archeological findings prove its age-long relation to the district of Arcadia and its plateau. It is a versatile variety used for making a whole series of wines, from dry to fruity sparkling ones – also known as a blanc de gris variety, meaning that its skin color can range from light pink to deep purple. The dry white Mantínia is the most renowned of them all. • Robóla: One of the most elegant Greek varieties, this relatively high-proofed and acute white wine smells of citrus fruit and it is best served fresh. Combine it with seafood, preferably at its birthplace, the island of Kefalonia (Cephalónia). • Savvatianó: Maybe the most widespread Greek wine variety with a history of over 2.500 years. The yellow-green white it produces leaves on your tongue the pleasure of peach, lemon, kiwi, banana, melon and strawberry in a rather low amount of acidity. It is the basis for the famous Retsína. • Muscat: Although Muscat (Moschato in Greek) is cultivated in several places, the grape is historically associated with the straw-colored sweet wines of Samos. Samos muscats are full-bodies, dense and concentrated, with aromas of apple and pear. • Mavrodáfni: After 2 to 8 years of maturation, this red wine comes from Patra and Kefalonia. Vanilla, cherry, dried fruits and chocolate are the true spirit of this extensively exported wine variety. One of the Greek wines, sustained by your charm, will turn a dinner into a lifetime experience. Good thing you can repeat it anytime!